I was so excited to see this little sweetheart for her 9 month session. Jocelyn is probably the happiest kid I have ever photographed. When she arrived for her session she was asleep in her car seat. As she started to wake up she looked confused. I don't blame her. She fell asleep in one place and woke up in another. Once she was fully awake she seemed a little unsure. As soon as we put her down in front of the camera and started talking with her, she turned on the smiles. She has grown up so much since her 6 month session. She was crawling all over, and standing up while holding onto something. 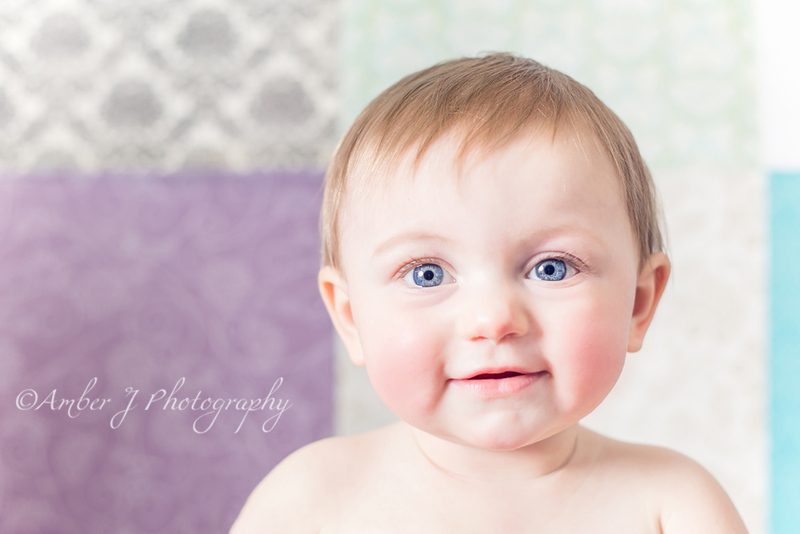 I just love being able to photograph children during the different stages of development. It is so neat to be able to watch them grow and change. I am looking forward to seeing her again for her 1 year pictures!